Home » Academics » Schools » Greehey School of Business » Faculty » Kent W. Royalty, LL.M. Kent W. Royalty, LL.M., is the Emil C. E. Jurica Distinguished Professor of Accounting. He joined the St. Mary’s University Greehey School of Business faculty in 1986 and serves as Chair of the Accounting Department. Royalty is active in the American Accounting Association and is a past president of the Southwestern Region of the American Accounting Association. He is also active in the American Taxation Association and numerous other professional associations. Royalty previously taught at St. Cloud State University, Eastern Kentucky University and internationally in Austria and Dubai. He has also practiced law in Kentucky. Royalty has been recognized for excellence in teaching, research and service. 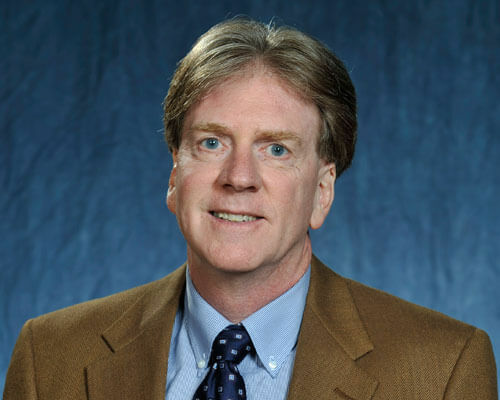 His accolades include the St. Mary’s University Outstanding Faculty Award, the Donald J. Douglas Award for Innovative Teaching, and the Greehey School of Business Community Service Award. He is especially active in the St. Mary’s Volunteer Income Tax Assistance (VITA) Program and has volunteered as a reviewer since the inception of the program in 2003. Royalty is an active researcher whose articles have appeared in the ATA Journal of Legal Tax Research, Southern Law Journal, Journal of Global Awareness, The International Journal of Volunteer Administration, The International Trade Journal, The Electronic Hallway, The CPA Journal, Trial Lawyers Forum, Business and Tax Planning Quarterly, Business Law Review, Southern Business and Economic Review, Journal of Small Business Management, The Journal of Legal Studies Education, Accounting Perspectives, Oil and Gas Quarterly, Practical Tax Strategies, Corporate Taxation and The Tax Advisor.